Moldova To Minnesota: Man Allegedly Faked Death For $2 Million Insurance Payout Igor Vorotinov had been living in Moldova after allegedly faking his death there in 2011. He was brought back to Minnesota on Saturday by U.S. law enforcement. In 2011, police in central Moldova responded to a call reporting a dead body. They found a passport, hotel cards and contact phone numbers belonging to a Minnesota man named Igor Vorotinov. Vorotinov's ex-wife, Irina, was notified and traveled to the small Eastern European nation to identify the body. She returned to the U.S. with a death certificate and an urn of ashes. The urn was then placed in a mausoleum at the Lakewood Cemetery in Minneapolis — the same city where, on Monday, Igor Vorotinov made his first appearance before United States Magistrate Judge Kate Menendez. The 54-year-old has been implicated in a family scheme to cheat an insurance company out of a large sum of money by faking his death, according to a statement from the District of Minnesota U.S. Attorney's Office released Tuesday. U.S. Attorney Erica MacDonald announced that Vorotinov had been arrested in Moldova last week on a single charge of mail fraud. He was turned over to the FBI and extradited to the U.S. from Moldova on Saturday by the Justice Department's Office of International Affairs. Vorotinov's alleged con, which has already produced two guilty pleas from the accused's ex-wife and their son, began to take shape over eight years ago, according to authorities. In March 2010, just over a year after filing for divorce, Vorotinov took out a $2 million life insurance policy on himself from the Mutual of Omaha Insurance Company. He listed Irina Vorotinov as the primary beneficiary and in 2012, a year after identifying his her ex-husband's body, she received a check for the entire amount. According to court documents, "Between March 29, 2012 and January 2015, more than $1.5 million of the life insurance proceeds were transferred to accounts located in Switzerland and Moldova." In 2016, Irina was sentenced to 37 months in prison after pleading guilty to both mail fraud and engaging in a monetary transaction in criminally derived property. In the same year, the couple's son, Alkon Vorotinov, was sentenced to jointly pay, along with his mother, $2,056,554 in restitution after pleading guilty to concealing a felony. A majority of the policy's payout was had been transferred to a U.S. bank account bearing Alkon's name. While the 28-year-old avoided jail time for his involvement, it was his 2013 slip-up that, in part, led to the unraveling of the family's story. According to the Minnesota Star Tribune, "A tipster in Moldova told an FBI agent in June 2013 that Igor Vorotinov had staged his death and was living in Ukraine under a new identity." Later that year, the son was returning to the U.S. from a trip to Moldova and was stopped in Detroit by Customs and Border Protection. Agents seized his computer, where they found images of his father taken in April and May 2013, almost two years after his supposed death. In June 2015, authorities removed the urn from the Lakewood Cemetery mausoleum and determined that the ashes were not those of Igor Vorotinov. Also, early that year, Alkon admitted to federal authorities that his father was alive and had been using the assumed name of Nikolai Patoka, the Star Tribune reported. As reported by the Star Tribune, the son's defense attorney said his client was originally ignorant of the scheme. He was led by his mother — who, as noted by the prosecution in her case, staged "a widely attended sham funeral" — to believe his father was dead for more than a year. "Can you imagine, your own mother, and she brings an urn back?" attorney Matthew Mankey said, according to the newspaper. "Then dad shows up [alive]. What kind of people are these?" 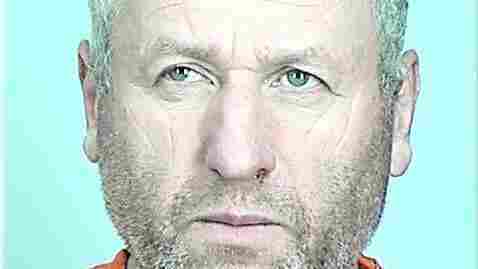 Igor Vorotinov, who is being held at Sherburne County Jail, is expected in court next week.